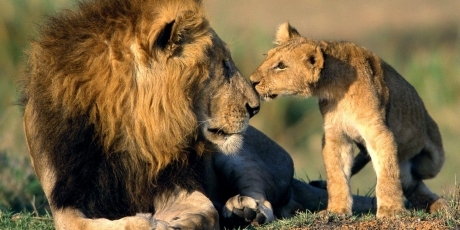 As concerned citizens from around the world, we urge you to ban all lion hunting in Zimbabwe. What happened to Cecil is a tragedy and evidence that these majestic cats need stronger protection. Zimbabwe’s beautiful wildlife makes it a unique tourist attraction, but until we see real action from authorities to stop senseless hunting of endangered lions, we can’t support your industry with a clear conscience. Cecil, a beloved lion in Zimbabwe, was lured away from protected area and shot with a bow and arrow. The hunt lasted 40 hours until he was eventually killed with a rifle -- skin and head taken back to Europe as sick trophies. Hunting these majestic cats is still legal in Zimbabwe, but Cecil’s tragedy is our best chance to stop it. Cecil was a major tourist attraction -- experts say that a few days of Cecil’s photo being taken was more lucrative for Zimbabwe than the one-off price paid for his head. And Zimbabwe’s tourism industry is on the rise. If we show the government that lion hunting is hurting their image as a tourist destination, we can help ensure that a proper ban is put in place, protecting hundreds from ending up on wealthy European mantels. Powerful individuals support trophy hunting, and to drown out their voices, we need an overwhelming outcry showing that people everywhere want Zimbabwe to implement the ban. Add your voice then forward this to everyone. When we reach 1 million signers, Avaaz will take out ads in tourist and airline magazines highlighting Zimbabwe’s inaction to save endangered lions.